"preparado para paz - pronto para amor "
in time for summer the mojoknights are releasing an ultra rare and limited t-shirt edition, hand-screen printed in long hours of dark winter (k)nights for you and yours. 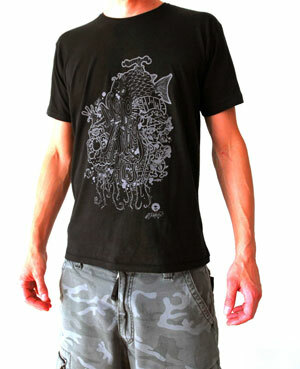 madlib and jrocc of the famous beat junkies crew already got themselves one, so dont sleep on these shirts. click on the pictures for more info. e ai galera! mojoknights are attempting a re-release of this ultra rare tim maia album from 1978 on vinyl. the lyrics are sung in english, and the record is best described as a mix between al green meets n.e.r.d. meets barry white. its a true masterpiece and almost impossible to get on vinyl or cd. some brazilian dealers will ask 300 u.s. dollars for an old scratched up record. this was recorded by tim maia in 1975 on his own seroma label, when he had absolutely no money. when he finally released it in 1978 no one really cared about it anymore. 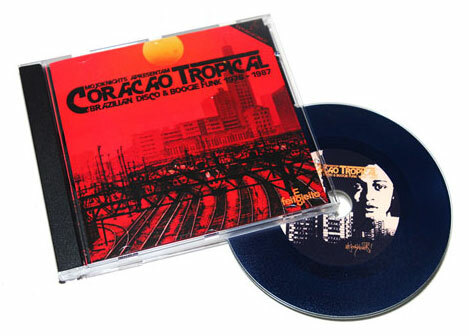 this record will appeal to music lovers and collectors of brazilian and american music alike. it features incredible drum breaks, amazing orchestration, top melodies and of course tim maia singing in his best english. we love this record and we hope you will too. 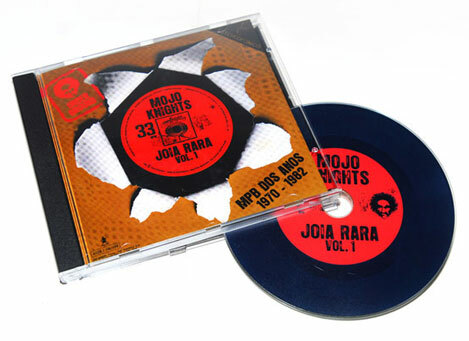 to get more info on this record write us an email at 411@mojoknights.com. abracos e muito som.